Betsoft slots are noted for the outstanding quality of their 3D graphics and artwork. The 3D effects can be stunning while the attention to detail is second to none, and although there is certainly a Betsoft ‘house style’ when it comes how its online slots are designed, no two games look the same. From the (literal) fireworks of Boomanji, to the modern take on the classic fruit machine slot in Fruit Zen, to the eerie, futuristic design of Mega Gems, Betsoft slots are undoubtedly designed for a generation players who expect engaging and compelling graphics in their gameplay. Quirky, offbeat characters and themes are also a hallmark of Betsoft slots, with their on-reel, interactive characters a long-standing feature of their work. Again, there is enormous variety in the sorts of themes and characters that you can enjoy in their range of games. For instance, there is the eccentric, dancing Chief who dominates the action in Rooks’ Revenge (probably still Betsoft’s flagship slot); the sinister fairy tale figures who star in Greedy Goblins; the ageing frat boy buddies in Weekend in Vegas; or the array of adorably cute puppies in Puppy Love. This is just a small selection of the diverse range of characters and themes you can find in Betsoft slots, and this is one of the main reasons behind their growing popularity. Other eye-catching Betsoft slots include: the new release Charms & Clovers, a 5-reel slot that features a bonus 6th reel that can award big jackpot payouts; Dr Jekyll and Mr Hyde, with its progressive potion bonus, where the reward level you achieve carries over to your next gaming session; The Tipsy Tourist, which includes a free spin bonus round featuring clinging wilds that stay on the reels throughout your free spins; Alkemor’s Tower, a wizard-themed slot with a four-tier free spin bonus round that includes wild reels. However, it’s not all just about the look. Betsoft games include some highly imaginative and innovative gameplay features as well, and these further enhance the games’ appeal. 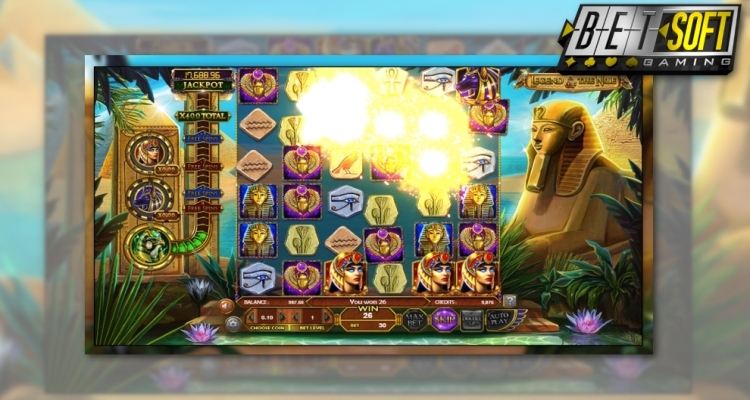 Slots feature a range of paylines (including ways-to-win games), both right-to-left and left-to-right paylines, rolling reels, rolling wilds and falling reels, while some Betsoft slots like Birds do away with conventional slot machine reels altogether, and instead the bird symbols ‘fly’ in and out, rather than rotating. Overall, therefore, diversity is at the heart of why Betsoft slots are featuring in an ever-increasing number of Canadian online casinos. Imaginative and fun themes and characters, combined with innovative gameplay mean, that no two games are the same, and so players are guaranteed an engaging and rewarding gaming experience. Finally whilst not its specialty Betsoft also has a good range of table games, including both standard and more exotic versions of classic casino games. For instance blackjack, where you can play not just standard American and European versions, but also 21 Burn, Pontoon, Pirate 21 and single deck variations. They also offer roulette, craps, a number of poker variations, keno and other casual games, along with almost 30 different video poker games. All games in the Betsoft Slots3 series are played as a HTML5/ Flash casino with no download required. This technology is one of the reasons it has been able to develop its unrivalled 3D video slot graphics, and why Betsoft games are only found in the new generation Flash-based online casinos usually alongside a diverse range of offerings from other smaller developers such as NetEnt, Yggdrasil, Play’n Go etc. Betsoft also focuses on mobile casinos with its ToGo range. This collection of Betsoft games all of which are available to play on mobile devices (including smartphones and tablets), is increasing all the time and includes all of its major and new release titles. As ToGo games are all designed to be optimized for the smaller screens on mobiles and tablets, there’s no reduction in either graphics quality or gameplay playing Betsoft mobile slots on iOS and Android handheld devices. Betsoft Gaming began life in 2005, and since that time has led the industry in the successful integration of 3D graphics into online slots. Perhaps more than any other producer, Betsoft has broadened the appeal of online slots games through its innovative use of offbeat characters, original visuals and soundtracks, and imaginative, fast-paced gameplay.As its position in the market consolidated in the intervening years, Betsoft began to develop its ToGo range of iGaming mobile slots in 2012, and this successful adaptation of mobile technology has further broadened the reach and appeal of its games. Betsoft’s growth and success has seen it pick up a number of industry awards, the most recent being the 2016 Casino Content Supplier Award at the EGR Nordics Gaming Awards.